I thought a good way to end this week would be to share 5 things that you guys gals don't know about me. 1. Easter Is My Favorite Holiday: Let me list all the things that make me love Easter.... small chocolate hollow bunnies, Reese's mini Easter eggs, cute real life bunnies, all the Easter decor, the bright colors, the plastic eggs, the movie Easter Parade ( with Judy Garland and Fred Astaire ), spring in almost here, and big chocolate hollow bunnies. 2. 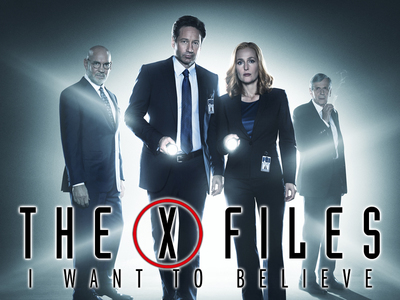 The X- Files Is My Favorite T.V Show Of All Time: Why you ask because of two words, Mulder and Scully ( ok, that three words but you get the point if you ever watch the show). 3. I Have A Love/Hate Relationship With Painting My Nails: The love part comes from getting a new nail polish or finding a cool new design to try out. The hate part comes from painting my nails then messing them up because (A) I think there dry, (B) They feel dry to the touch then I go off and do something, just to look down and notice that one is smeared or (C) You have one of those days where the design turns out nothing like what your seeing on your computer screen. 5. For A Crafty/Artistic Person I'm Organized: Ok, I'm not like OCD organize but all my craft supplies have a spot. I find this whole fact a little weird because crafty/artistic people I guest are not suppose to be organize. According to science I use more of my right brain ( which is the more creative/mess side of the brain), but I feel like some juice from the left side of my brain ( which is the more logical/clean side of the brain) leaked into my more useful right brain. If you have no idea about what I just said it's ok, just click on the picture above to make it bigger. Or look up right and left brain it's actually pretty interesting. If you want to do this post on your own blog by all means do it, I would love to read them. Or list a few things in the comments below about yourself. Hi Katie, I try to be organized in my studio but have to revamp it and get organized again weekly. lol I love chocolate too! I try to stay on top of my organizing but their are days where I get completely side track. These days I'm watching Grimm and it give a close feel, I think, but I don't think any show since will be able to reach the same level of awesomeness. I agree, no show will ever have that same level of awesomeness. Two shows that I'm in love with right now are The Mentalist and Once Upon A Time.